Head Coach of the Dhaka Gladiators and former National Bowling Coach, Ian Pont shares his views on the inaugural Bangladesh Premier League. Ian reports on coming back from back-to-back defeats to pick up momentum going into the final stretch. It was an important win that you can never take for granted. Although Sylhet had lost every match so far, there is always a danger you can switch off on not be focused playing a side that have nothing left but pride to play for. With a really small crowd, too and no real atmosphere it was imperative that we motivated ourselves and stepped up to redress the two losses we suffered after three wins in a row. On the day everyone played their part with highly professional performance. We sat down as a squad and discussed our previous matches and what needed to happen. 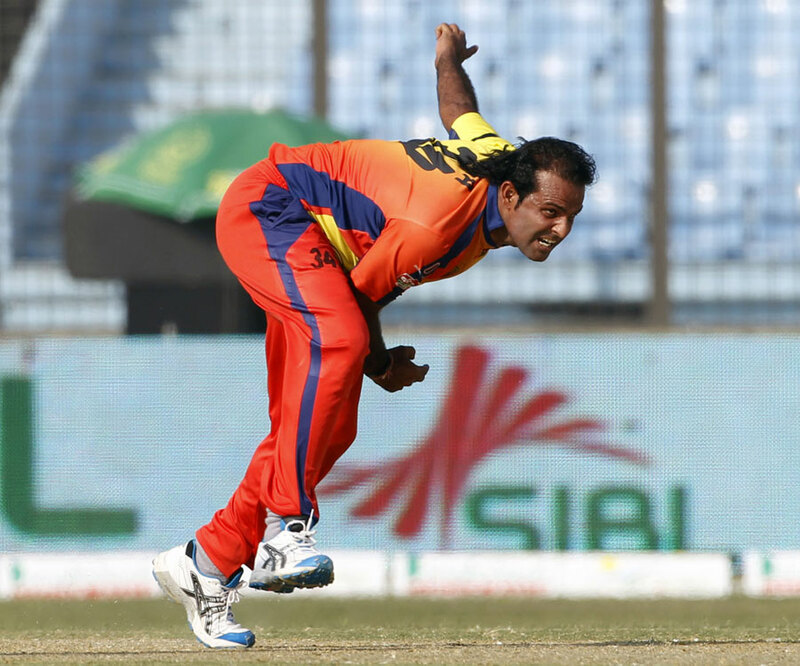 It was a genuine thrill to witness Rana Naved showing just what he can do with a ball. Three wickets and a superb spell of death bowling showed just why we backed him fully throughout this competition so far. The bowlers all performed well with the spin twins of Elias Sunny and MH Rubel again showing just why they have featured in the national side. Azhar Mahmood and Mashrafe worked in partnership to stifle the run rate in the early stages whilst taking wickets. It was additionally an opportunity to try to improve our net run rate so Ashraful and Imran Nazir set about scoring 10-11 an over until Imran suffered a sickening blow to the head from a bouncer from Peter Trego. It was a worrying moment but he was in great medical hands. He went to hospital and had scans. The initial results are positive and whilst keeping an eye on him over the 24 hours, we are hopeful he will make a full and speedy recovery. The momentum of the innings was not lost though and towards the end we sent in Keiron Pollard to finish the match, which he did with three 6s in a blistering six-ball 22 not out. We fly back to Dhaka and face up to the team above us on net run rate, Chittagong on the 24th. They have slipped badly lately and lost both matches at home. So we hope the impetus is with us as the crowd really makes a noise for us at Mirpur. I am pleased how the players responded to the defeats. Lessons have hopefully been learned. There are three matches left in the second round and all is to play for still. This page has been viewed 2744 times.